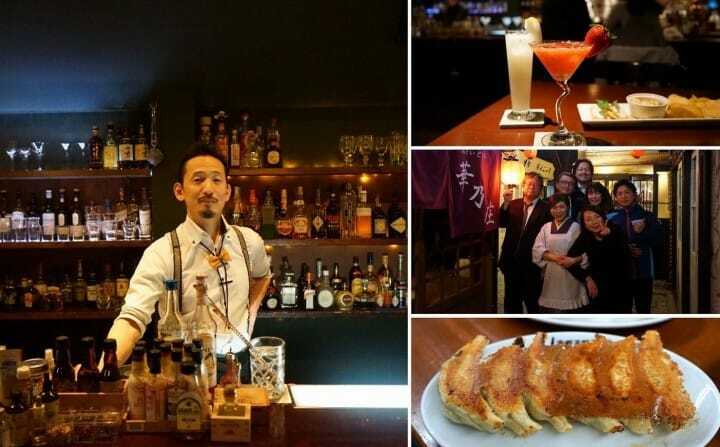 https://matcha-jp.com/en/greatertokyo/5619 Welcome To Utsunomiya, The City Of Jazz Bars, Cocktails, And Gyoza! A city famous for its jazz and cocktail bars, Utsunomiya can be reached in less than an hour from Tokyo by bullet train. This recommended day trip route introduces you to Utsunomiya's gyoza and cocktail culture, as well as to its sightseeing highlights. What comes up to mind when you hear the name "Utsunomiya"? Many might think right away about gyoza, a dish that is so popular in Utsunomiya that it resulted in its reputation of being one of Japan's two "gyoza towns", along with Hamamatsu in Shizuoka prefecture. Music lovers might know Utsunomiya as Japan's "city of jazz", due to its many jazz bars and jazz-related events, which have thrived here partly due to the city being the birthplace of musician Sadao Watanabe. That was about all I knew about Utsunomiya until I actually got the chance to visit it. What I found was an incredibly lively and friendly city, with an exceptionally rich and multifaceted culture. So let me introduce some of the things that made me want to visit Utsunomiya again anytime and even spend two or three days there. Utsunomiya is a city in the center of Tochigi prefecture and can be reached in less than an hour from Tokyo by shinkansen, a fact that just adds up to its appeal. If what you're looking forward to is experiencing the face of Utsunomiya by night - the cozy atmosphere woven with good music, dim lights, and stories told by warmhearted drinking buddies, then you might want to sleep in and not rush to the earliest train. We took the 10:36 shinkansen headed toward Sendai and reached Utsunomiya at 11:27. Once arrived we took a few minutes to walk around the station in search of one of the city's icons - the Gyoza Statue! Before seeing it with my own eyes, I kept wondering how in the world would a statue express the fluffy shape of the Chinese dumplings. And there it was, in front of Utsunomiya Station, a human-sized gyoza made out of stone - a quite "motherly" figure. It prompted me to ask a local friend how come are gyoza so popular in Utsunomiya. It seems that after World War II, the soldiers returning from Manchuria brought in the knowledge of cooking Chinese dumplings to Utsunomiya. Easy to make and needing mainly vegetables, which were easier to obtain at that time in the area than, say, fish or other ingredients, gyoza rapidly became a popular dish in Utsunomiya's households. In the meantime, new variations of the dish have been developed resulting in more than a hundred types of gyoza. If you get the chance to eat gyoza in Utsunomiya and see just how many types, shapes, and flavors are on offer, you'll understand right away how can one eat them on a weekly or even daily basis without ever tiring of them. Long story short, we decided to learn more about Utsunomiya's popular dish by having it for lunch. From the bus terminal located in front of Utsunomiya Station, we took a local bus headed to the center of the city and got off after roughly ten minutes at the Babacho bus stop. Kirasse, a famous name in Utsunomiya, is a gyoza specialty restaurant located on the basement floor of the building behind the Babacho bus stop. This dining place is run by the Utsunomiya Gyoza Association and gathers five different gyoza specialty stores. Here at Kirasse, you'll find pamphlets with pictures and information on all the gyoza types that exist in Utsunomiya, as well as posters explaining how to order and how to enjoy gyoza. From chopping the vegetables (onions, Asian chives, cabbage, Chinese cabbage) to mixing all the ingredients with minced pork and adding the condiments, you get to hear all the tips for making excellent gyoza at home. If you've ever tried to make these dumplings at home, you probably know that filling the thin slices of dough with the gyoza mix is the most challenging part. The chef will show how it's done and you can practice it until you get it right. Even if you happen to have two left hands like myself, don't worry. The instructor will make sure you master the folding of gyoza before you leave. It's a skill you'll be taking with you from Utsunomiya back home. The participants get to learn even the secret behind frying the dumplings into one plate-sized dish, as well as how to make the tasty crust that holds the gyoza together. At the end of the workshop, you get to eat the gyoza you made! I'd recommend trying both the fried and the boiled variations to see just how versatile this dish is. What's even better is that you'll also learn the best ways to enjoy gyoza from the professionals at Kirasse! They'll tell you everything about the refreshing sauces you can dip the gyoza into - from the standard ones to the original ones improvised in private households. In front of the entrance to Kirasse, there is also a shop with gyoza ingredients and seasonings, as well as ready-made gyoza which you can take home, fry and enjoy. The gyoza experience at Kirasse was most satisfying and fun, besides literally broadening my horizons regarding this dish and its meaning for the citizens of Utsunomiya. Do look for this dining when in the city and taste the results of true dedication to gyoza cooking. Languages Menu and explanations in English available. Upon leaving Kirasse, you'll notice a large torii gate on the other side of the street. This is the entrance to Futaarayama Shrine, a shrine as old as the Japanese nation itself. In fact, Utsunomiya developed as a city around this shrine. There are several structures within the grounds of the shrine, including a stage for performances of kagura (Shinto ceremonial dances), as well as other smaller shrines dedicated to various deities in the Japanese pantheon. A great way to learn more about the history of Futaarayama Shrine and what it has meant in the lives of the people is to see the exhibitions found in the Futaarayama Hall (or Futaarayama Kaikan). Entrance is free and anyone is welcome to take a rest on the seats available inside. The exhibits consist of dolls, miniatures, statues, as well as pictures and old documents that illustrate the history of Utsunomiya's Futaarayama Shrine. One of Utsunomiya's famous brands is Nakagawa Dyeing Factory, a facility that creates the vibrant colors and patterns on the textile materials used for making tenugui (towels) and yukata (light summer kimonos). The factory can be visited by groups (prior reservation is required). The one-how long tour will take you through all the studios where the Nakagawa artisans work - from the areas where the textiles are neatly stretched and rolled to the room where they get impregnated with a pattern, then dyed, washed and eventually hanged out to dry. The most impressive part of the tour for me was the area where they dyed the patterns into the material. It was amazing to see how they made those intricate patterns and beautiful chromatic gradations with just a few simple methods. At the end of the tour, you can stop by the shop of the facility and pick up a tenugui (Japanese towel) designed with Nakagawa's lovely patterns. Some of the tenugui available at this shop are not available anywhere else. Besides, even if you do find these towels in souvenir shops in the city, they will most probably be higher priced so do take this opportunity to purchase them at producer's price. The Nakagawa Dyeing Factory can only be reached by car from the center of the city. We recommend using a taxi to get the factory and then back to the city center. The ride takes approximately 5 to 10 minutes. One unique monument that anyone visiting Utsunomiya should see is Matsugamine Catholic Church, located in the heart of the city. The beginnings of the Catholic community in Utsunomiya go back as early as 1888 when the first church was established here by a French missionary priest. The present building was erected in 1932. What’s special about this building is that it was constructed entirely of Oya stone, a type of rock created from lava and ash which has been mined from the Oya area near Utsunomiya since the 17th century. Oya History Museum, an impressive underground gallery documenting the history of Oya stone mining is actually less than 10 km away from Utsunomiya. Easily reachable by car, this museum is also definitely worth a visit. You can see there the former Oya stone excavation sites. Oya stone is fireproof, a quality that made it possible for Matsugamine Church to withstand the bombings during World War II. Both the exterior and the interior of this church are impressive, showing the malleability of Oya stone. If you come nearby, do enter to see the details of the altar. Around 5 minutes away by foot from Matsugamine Church is Orion Street (Orion-dori), a covered shopping street with local stores and dining places. Here you’ll find Miya Cafe, a shop and cafe promoting the regional goods of Utsunomiya. At Miya Cafe you can find an extensive assortment of products made in Utsunomiya, such as the Nakagawa dyed towels, decorations and household objects made of Oya stone, gyoza-shaped or gyoza-inspired items, and many other excellent souvenirs. The shop also sells foods that are specific to Utsunomiya such as sweets, snacks, fresh or dried fruit and vegetables, as well as local beverages such as Utsunomiya’s famous fruit cocktails. After looking around the shop, how about taking a rest in the cafe space? In addition to tea or coffee and some of the local snacks that this shop takes pride in, how about tasting their Strawberry Ice Cream? Made with fresh “Tochiotome”, a strawberry variety grown in Utsunomiya, this ice cream is a most delicious and refreshing treat. Within a 10 minute walking distance from Miya Cafe, you’ll find another facility that’s quite unique to Utsunomiya. Sasara is a sake tasting bar, showcasing several hundreds of Japanese sake brands. Here you can taste a small amount of as many sake types as you want, to compare them and find one that you especially like. It is a great way to get acquainted with the famous sake brands of Utsunomiya and Tochigi prefecture, such as Shikizakura or Sawahime. What’s different about Sasara when compared to regular bars is that it is open only until 19:00. This makes it popular with people who wish to try various types of sake without drinking too much. It is also very casual, not to mention that it is great value for money. At dinnertime, we recommend going to Utsunomiya Yatai Yokocho, an alley lined with small, privately owned dining bars. The culture of dining out while enjoying a drink and chat with the owner and other customers, whom you might be meeting for the first time, has deep roots in Japan. More than a dining experience, it is a form of socializing. Especially when you come for the first time a Japanese city, there is no better way to find out stories and all about the area than dropping by a yatai street. We stopped first at Hana no Sho, a yatai run by a charming lady wearing a kimono who let us taste real homemade Japanese dishes. She happily shared with us her knowledge about ingredients and cooking. Before we knew it, we already had a list of Utsunomiya dishes that we wanted to try. Following the tradition of bar hopping, after about an hour we moved to another yatai - Ippon Matsu. In addition to, again, great food and drinks, we found here a cozy and cheerful atmosphere that took us in, making us feel like locals. There is really no better way to build a connection with Utsunomiya than by visiting the Yataki Yokocho alley, a place where any visitor gets to feel the warmth of the locals. WiFi Available in some of the stores. Utsunomiya is famous for cocktails, boasting a great number of cocktail bars that offer excellent drinks. Our recommendation is “The Flair Bar”, run by Mr. Miyazaki, an award-winning cocktail chef. At The Flair, you can enjoy delicious cocktails made with the fresh fruit Utsunomiya is famous for, such as strawberries and pears. The background music is soothing, creating the ideal atmosphere for a friendly chatter. Each night after 21:00, a cocktail show is being held at The Flair. You’ll be able to watch the charismatic chef handling the cocktail bottles acrobatically in the rhythm of music - an amazing display of prowess that will heighten your spirits, adding up to the wonderful memories you’ve made about Utsunomiya. For other information on recommended routes and sightseeing points in Utsunomiya, please drop by the Tourist Information Center located within the JR Utsunomiya Station. You can get here pamphlets and advice on all there is to see and enjoy in the area. An excellent souvenir store is the Grand Marche, also located with the station. Grand Marche features various shops that sell foodstuff made with local ingredients. If you’re looking for a taste that’s representative of Utsunomiya, we recommend the strawberry jam or any other strawberry-flavored snacks. The freshness and an amount of sweetness that’s just right make the Utsunomiya strawberries a great treat. Whether you visit for a day or for several days, enjoy your time in Utsunomiya! Other expenses (dining, drinking, souvenirs etc. ): from around 5000 yen up.